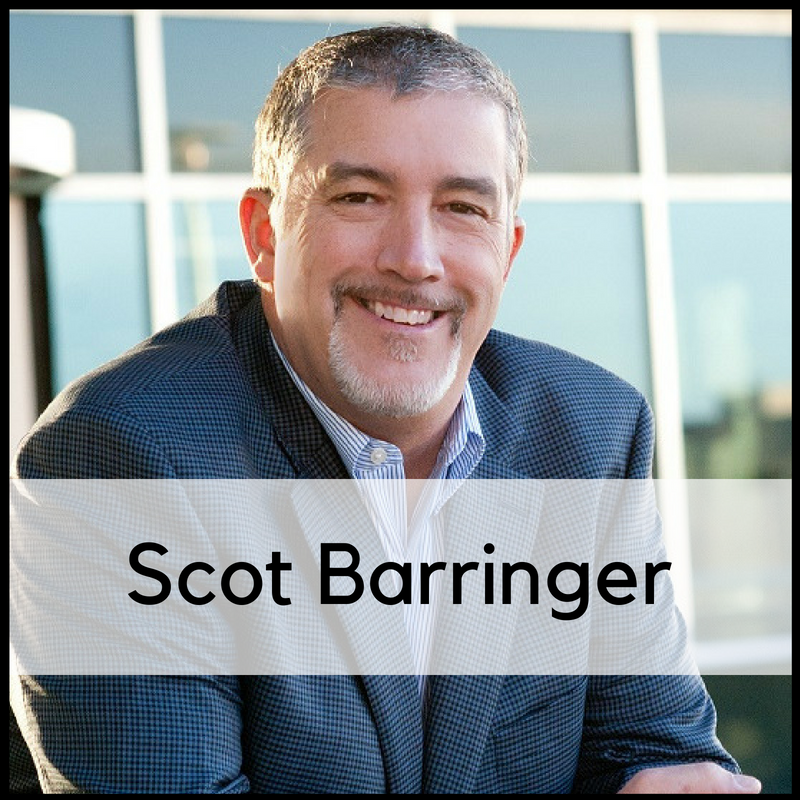 Scot Barringer has been managing investments for his clients for over 33 years. He started his career as a stock broker with the California brokerage firm of Bateman Eichler, Hill Richards in 1985 and became the youngest Vice President in the firm’s history. In 1988, Scot founded his own broker/dealer, Barringer Ryan & Company – one of the early entrants to the independent broker community. In 1992, Barringer Ryan & Company merged into Brookstreet Securities, where Scot remained as a Senior Investment Advisor for 15 years. Today, Scot is a Senior Investment Manager and Investment Advisor Representative with WestPark Capital – where he manages and advises almost $50 million for a group of private clients – including many he has worked with for over 30 years. Scot is the developer of Watchdog investing – an investment strategy focused on protecting investors from major declines in their portfolios while also maximizing growth opportunities. In 2011, Scot co-founded the Federal Employee Benefits Center– bringing Watchdog investing to the management of TSP accounts and developing expertise in federal employee benefits. He publishes a weekly TSP Watchdog Commentary for clients and subscribers to alert them to significant trend changes in their TSP accounts. In addition to his traditional investment practice and newsletter publishing, Scot is a licensed life insurance agent – with expertise in unique and empowering life insurance strategies. Scot is an avid sports fan, loves to travel and tries to fit in as much golf as he can. He also loves reading – enjoying fiction, personal development and financial topics. On weekends, you can often find him working on some sort of “building” project around the house. Doug Bishop brings almost twenty years of experience helping people build their future through financial services. He was the victim of a financial decision that cost him thousands of dollars. This life-changing experience inspired him to protect others from damaging financial mistakes. Doug is passionate about teaching clients to better understand financial strategies and products so they can confidently make better financial decisions. He has helped thousands of people avoid significant financial mistakes and reduce unnecessary payments to mortgage institutions, investment houses, and the IRS. When he’s not busy serving clients, Doug is spending time with his wife and four kids enjoying life in Colorado Springs. Reggie Fontenot has been providing Insurance and Investment products for over 20 years in Colorado. He focuses on protecting clients Assets in the event of unforeseen losses. Reggie strives to produce and deliver a service that meets and exceeds the expectations of his clients. In addition, Reggie is a Financial Advisor with a Series 6 License handling Investments, Life Insurance, Annuities and Retirement Income planning. Diane started her career selling life insurance over 25 years ago. She traveled the country for several years to help nurses with their insurance needs, resulting in a unique opportunity to live in and experience people and places across the US. Desiring to finish her degree, Diane moved back to Los Angeles and earned her Bachelor of Arts degree in English at UCLA. Several years later, Diane relocated to Denver and became involved in real estate investing. She spent many years buying, selling and rehabbing real estate. After 2008, Diane found a heavy need for credit repair and debt elimination. She discovered a solution to rapid debt repayment and established her own company where she taught people how to become debt free within a very short time. Once her clients were debt free, Diane wanted to maintain a relationship with them and realized that becoming involved in the financial services industry was a natural fit. As Diane found a passion in freeing clients from debt, she connected with Rusty Welch of Resilient Financial. Rusty had a unique approach that educated people on the ability of putting their financial future on trial for its life. Drawn to the truth of this financial approach, Diane became a licensed agent and works with Resilient Financial to teach clients how to grow, save and enjoy a tax-free retirement. She is also affiliated with Kingdom Advisors. Diane enjoys Bible study, reading, cycling, skiing, windsurfing, scuba diving, body surfing and most anything involving a beach. We have been providing financial expertise and knowledge since 1971. We can confidently guide you through retirement. Reach out to us for a face to face, no pressure consultation to learn more about what we can do for you.